In Maine, summer is flea market season: a time of year when you never know what you'll find wherever antiques dealers and other vendors gather. From Maine's biggest city--Portland--to more off-the-beaten-path locales, here's where to hunt for bargains and one-of-a-kind treasures at Maine flea markets. Portland, Maine's year-round flea market has been accumulating accolades. Shoppers love hunting here for vintage, antique and handcrafted items offered by more than 50 sellers. Hours are noon to 5 p.m. Fridays and 10 a.m. to 5 p.m. weekends. One of the most unique indoor flea markets in Maine and a must-see if you're traveling in the Midcoast region. Located on Route 201 in a big, red-brick building on the right after you cross the bridge going into Brunswick, this flea market features about 75 vendors. Operates every weekend, 9 a.m. to 5 p.m. This flea market, located just off Route 1 about 7 miles north of Bath, is open from 5 a.m. to 2 p.m. on Wednesdays, 7 a.m. to 2 p.m. Fridays and 6 a.m. to 2 p.m. weekends from Mother's Day weekend in May through Columbus Day weekend in October. The Wednesday market focuses on antiques and collectibles: You'll find more diverse merchandise Friday through Sunday. Antiques aren't your thing? 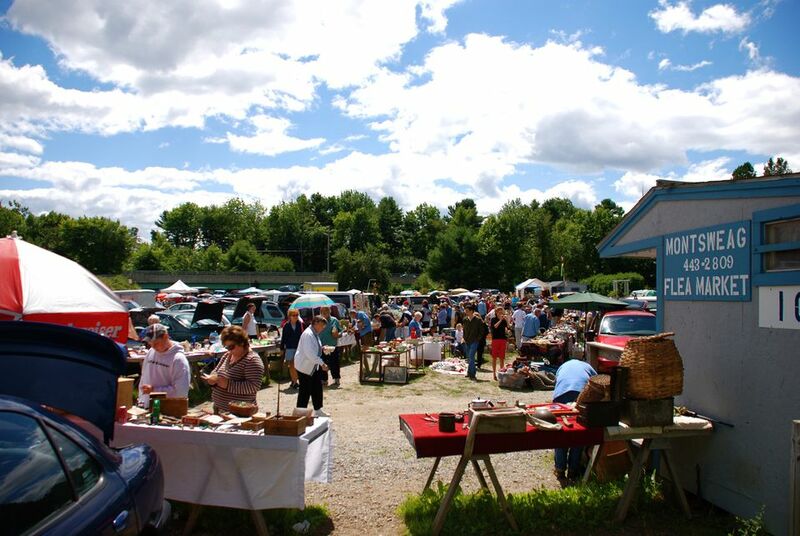 There's still a flea market for you in Maine. This large, indoor, year-round flea market features a wide variety of vendors including many offering new merchandise at bargain prices. Hours are 9 a.m. to 5 p.m. Monday through Sunday. This Ellsworth antique store and open air flea market is open Thursdays and Fridays from 8 a.m. until 3 or 4 p.m., and the cool thing is: Outdoor vendor space is free! They even provide tables. And a porta potty. Located in Searsport on Route 1, this indoor/outdoor flea market is open most days (closed Tuesdays) from May through mid-October from 9 a.m. until 5 p.m. Browse a variety of antiques, collectibles and bargain-priced finds. This outdoor flea market with affordable vendor spaces is located just off Route 1 in southern Maine. Maine Flea Market listings last updated June 2016. It is always a good idea to call ahead to confirm dates and hours of operation before your flea market trip.